Jaci Burton gives us three treats in one. Her novel, Bound, Branded, & Brazen, is actually three novellas, which reveal three sisters with three distinct personalities. 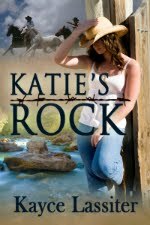 The sisters reunite on the family Oklahoma horse ranch where their contemporary issues on relationships meet their match. Each sibling has a fast paced and heated romance with their own particular conflicts. Valerie returns to face her ex-husband, whom she still loves, yet has a hard time admitting. 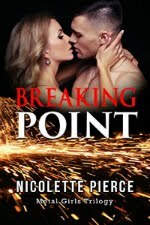 Brea isn’t sure she can make a commitment and deliver what she assumes her target-man wants. Jolene’s the boss, so how can a man date his superior and still be a man? Burton’s voice comes alive as she includes the necessary parts for a fulfilling story. My disappointment only surfaced in the fact that I was reading three intertwining novellas instead of one novel as I had assumed when I initially chose the book. When attached to a character, I like to stay with them longer. That’s actually a compliment! I’m going to assume that Burton’s Wild, Wicked, and Wanton is written in the same style, so if you’re a heated novella fan, this is an author for you to check out.